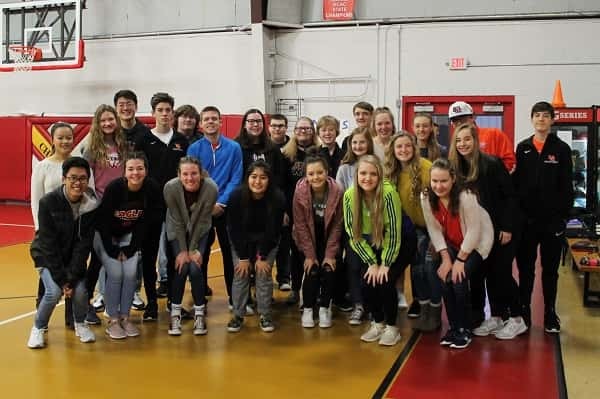 Students from the Journalism class at CFS and the MCHS Leadership class pose for a photo Tuesday. 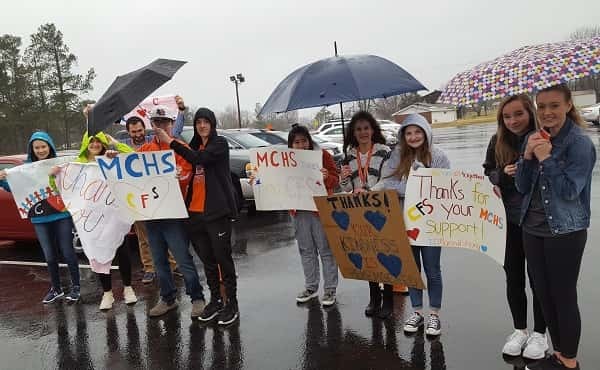 Marshall County High School staff and students visited Christian Fellowship Tuesday, standing in the rain with signs of thank you for the support CFS showed them following the tragic shooting last year on Jan. 23. 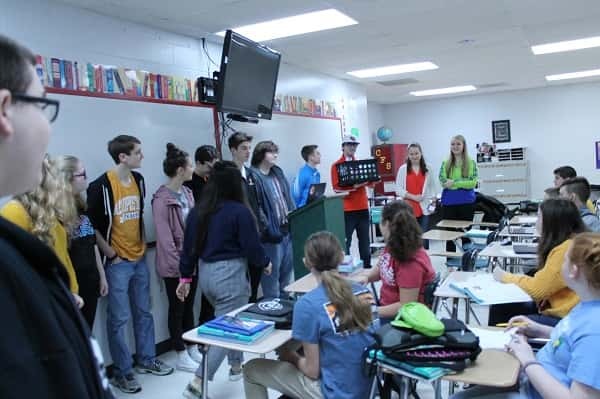 Following, the MCHS Leadership class distributed goodie bags to the staff. Marshall County staff and students hold signs of appreciation in the rain during drop off at CFS Tuesday morning. Marshall County students thank CFS students and staff for their support last year with goodie bags.